The Cape Cod native opens up about the show’s legacy, which Power Ranger Tom Brady would be and more ahead of this year’s convention. 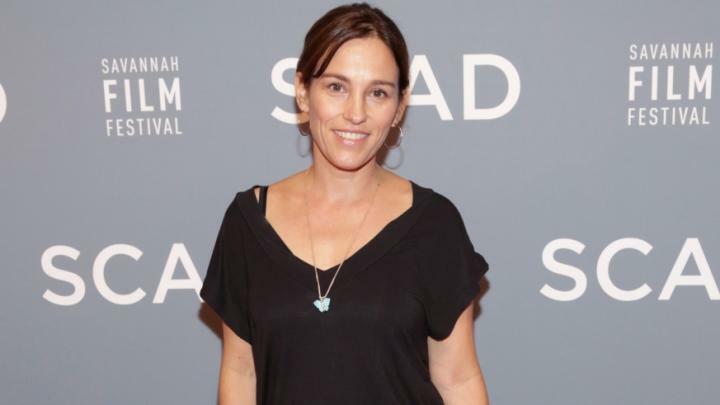 Amy Jo Johnson, a.k.a. the original pink Power Ranger, is heading back to her home state this summer for a special appearance at Boston Comic Con 2018. 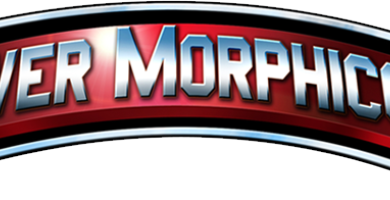 The Cape Cod native’s latest trip to town coincides with the 25th anniversary of “Mighty Morphin Power Rangers,” the hit live-action, superhero kids show that first took the U.S. by storm in 1993 with its high-flying kicks and colorful costumes. Johnson joins a star-studded lineup of celebrity guests at this year’s convention, which includes big names like “Jurassic Park” actor Jeff Goldblum, “Star Wars” icon Billy Dee Williams and “Stranger Things” star Joe Keery. As the series prepares to wrap up its 25th season this summer, Johnson tells Metro that she’s amazed to see how much the Power Rangers fandom has evolved since her time on the show. The actress is extremely grateful for all the friendships she forged with the cast, as well as the lessons she learned during her first big acting gig. “I really appreciate that time in my life,” she adds. While it’s been a while since Johnson last wore pink spandex to fight off one of Rita Repulsa’s monsters, the actress continues to receive a lot of love from the fans, who’ve supported her non-Power Rangers work as a writer and director. Thanks to successful crowdfunding efforts, Johnson was able to release her first feature film “The Space Between” in 2017. After a quick trip to this year’s Cannes Film Festival with her producer, Johnson is gearing up to work on her second feature “Tammy’s Always Dying” in the fall. Johnson hasn’t left the world of zords and morphers completely, though, as she had a quick cameo in the 2017 “Power Rangers” reboot movie opposite former green Power Ranger Tommy Oliver, a.k.a. 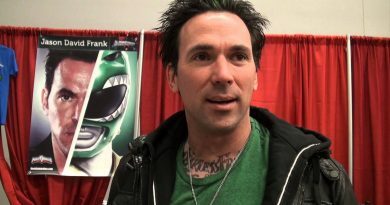 actor Jason David Frank. After Hasbro’s purchase of the brand, Johnson hopes she can direct a film featuring the original cast, an idea that the former blue Power Ranger David Yost recently suggested on Twitter. And if Tom Brady ever decided to trade in his Patriots jersey for the world of acting and a Power Rangers costume, Johnson knows exactly which character she’d cast him as. “He’d make a great Tommy,” Johnson says.